From powerful politicians to iconic actors, we run down a list of some famous pilgrims that have traversed the Camino de Santiago in recent years. 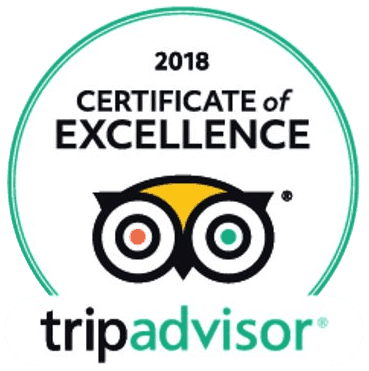 For over a thousand years, countless pilgrims have made the iconic journey to the final resting place of St. James the Greater on the Camino de Santiago. So, there’s no surprise that this includes a few famous faces. Whether it be for spiritual, religious or personal reasons, these celebrities all found something unique on the Camino. 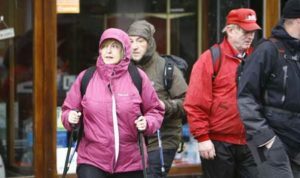 In 2009, while serving her second term as President of Ireland, Mary McAleese, her husband Martin and a group of friends, made their way to Sarria to begin their 112KM pilgrimage to Santiago de Compostela. The now-former Irish president trekked through the Spanish countryside on a traditional Spanish pilgrimage – albeit surrounded by secret service and met by crowds of paparazzi at each stop! The president spent a week on the trail but made it back to Arás an Uachtaráin in time to host a reception for Ireland’s Grand Slam-winning rugby team. 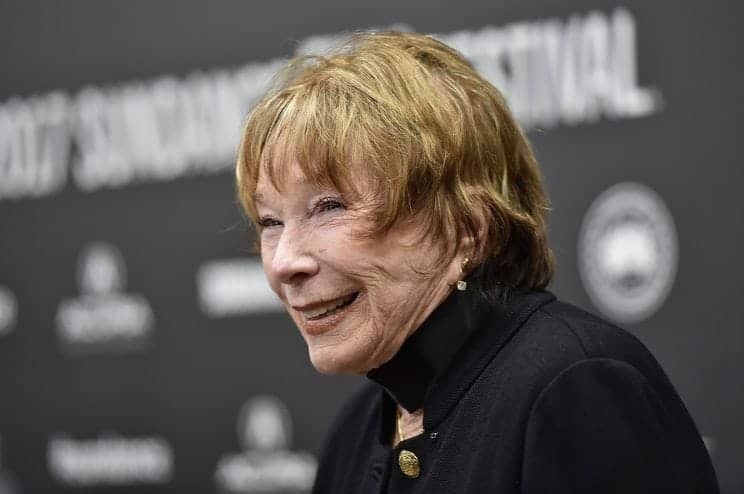 Iconic film star, Shirley MacLaine (Steel Magnolias, Terms of Endearment) trekked the Camino at aged 60 and didn’t let her Hollywood status get in the way of a traditional Camino experience. There were certainly no five-star hotels or VIP treatment on her pilgrimage. She walked a strict Camino, not availing of any modern conveniences. She stayed in refugios, “begged for food” and insisted on not making any friends along The Way. She famously said of the Camino, “All you really need in life is some fresh water, a good hat, and a really good pair of shoes.” Well said, Shirley! MacLaine wrote the best selling book about her life-altering journey, called The Camino: A Journey of the Spirit. She spoke about her experience on Oprah SuperSoul Sunday’s. 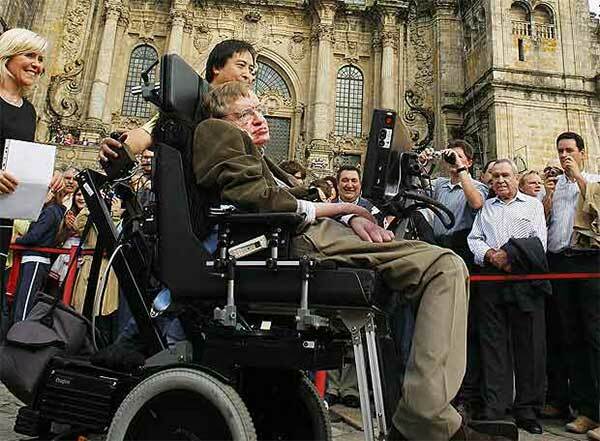 In 2008, while visiting Galicia to receive the prestigious Fonseca prize awarded to him by the University of Santiago de Compostela, Stephen Hawking traveled a symbolic section of the Camino in his wheelchair. 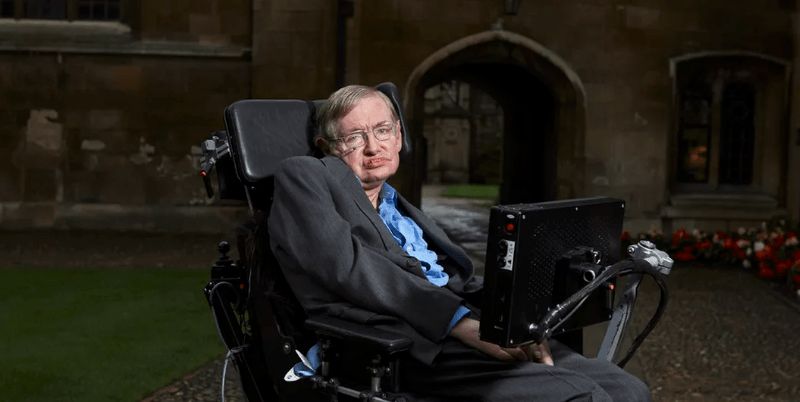 The world-famous British physicist visited the Catedral de Santiago de Compostela, and even ventured to “the end of the world” Finisterre where local authorities named a town plaza after him. 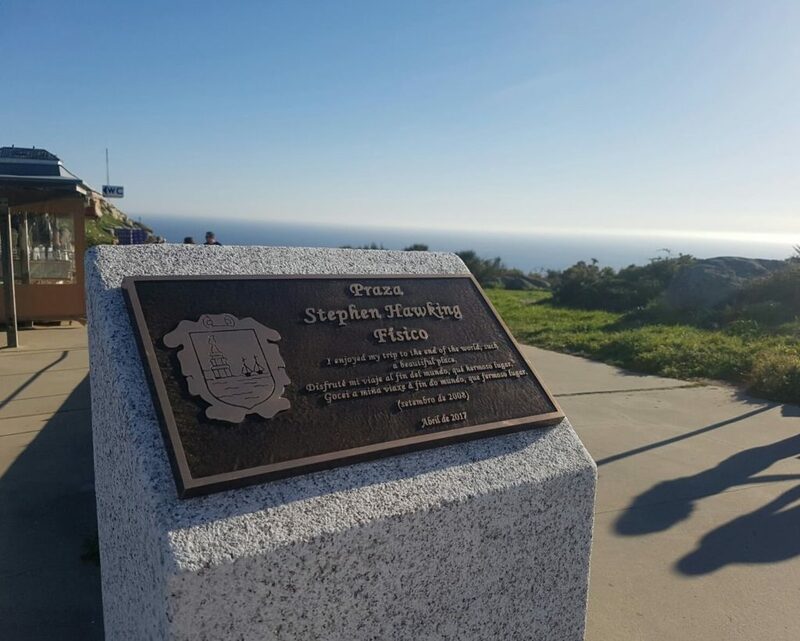 At the unveiling of the new plaque, he said, “It is a great honor to follow Paulo Coelho [author of The Pilgrimage] and accept this plaque in my name,” he said. German Chancellor Angela Merkel walked a small portion of the Camino de Santiago when she was on a state visit to Santiago de Compostela in 2014. She walked 6 kilometres of The famous French Way from O Pedrouzo to Lavacolla, with then Spanish Prime Minister Mariano Rajoy. After the walk, she paid a visit to the Catedral de Santiago de Compostela and embraced the famous statue of St. James the Greater. 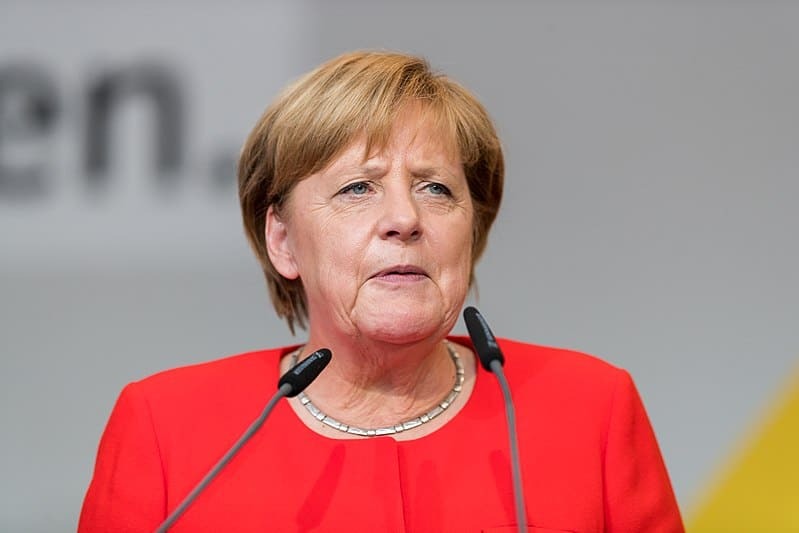 Merkel is a keen hiker, and spends many of her holidays traversing the Italian Alps… so it wouldn’t surprise anyone if she returned to Santiago for the full Camino experience in the future. 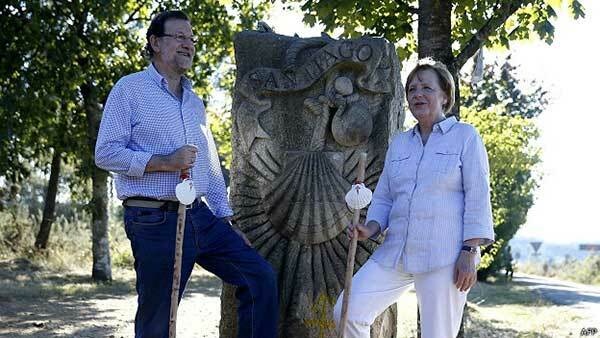 Angela Merkel & Mariano Rajoy on the Camino de Santiago. Remember Andrew McCarthy? 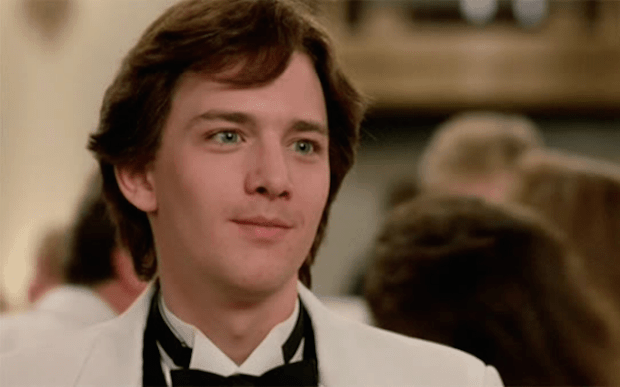 The name may not ring a bell, but Andrew was a prominent teen star in the 1980s and member of ‘The Brat Pack’, appearing in movies like St. Elmo’s Fire and Pretty in Pink. For him, it all started when he read a book about the Camino de Santiago just by chance, and within two weeks he was crossing the border from France to Spain over the Pyrenees. At first, McCarthy struggled. Just three days into his journey, he had to take time off for exhaustion and questioned his ability to complete the famous pilgrimage. However, he persevered. McCarthy said that the experience changed him and inspired him to travel the world. 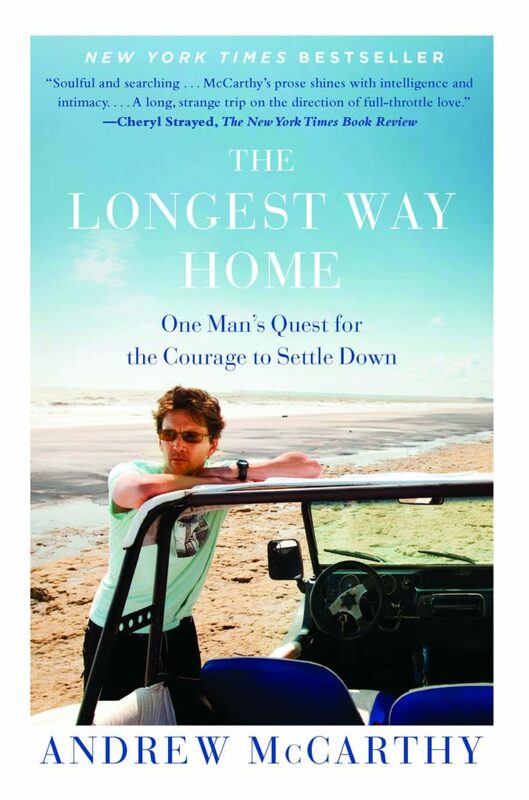 In doing so, he has become a well-respected travel writer, penning the best-seller The Longest Way Home. Have you ever thought about walking or cycling the Camino de Santiago? Take the first step and get in touch today.